​to 2nd-year U of A Students! If you are a second-year undergrad who has successfully balanced your studies with community engagement, you could receive $1000 to $4000 towards your living expenses for the year. 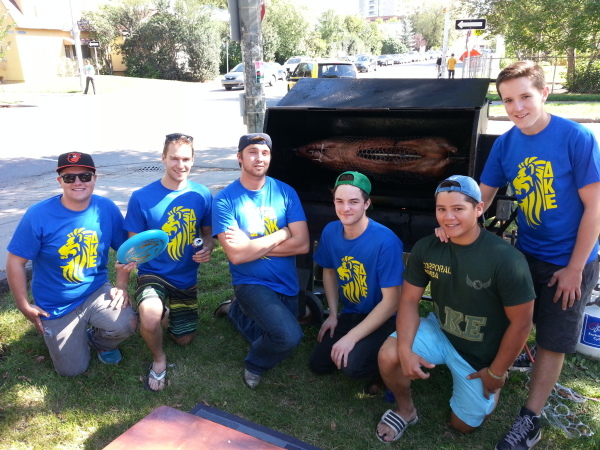 DKE in Edmonton is considering new members. We have many scheduled and ad hoc gatherings during August and September. 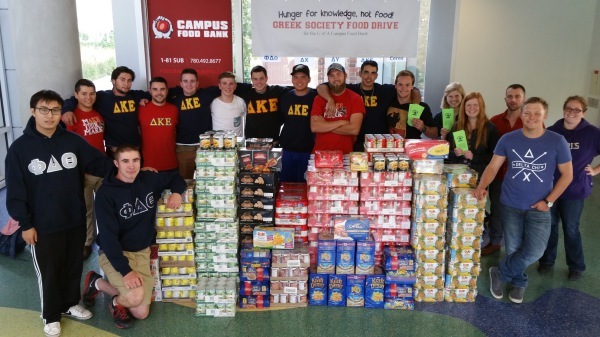 Greek Food Drive was another successful year! 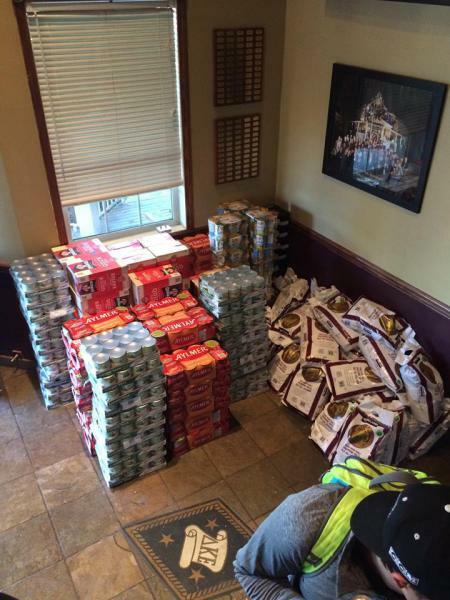 We raised 3337 lbs for the Campus Food Bank with our fellow fraternities! 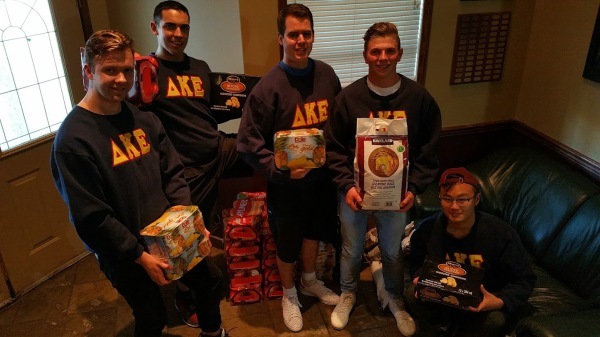 DKE raised over 2000 lbs in donations this September, and joined forces with Phi Delta Theta, Theta Chi, and Pi Kappa Alpha chapters. The 2017 Greek Food Drive was showcased at SUB stage on September 21, 2017. We Greeks beat our 2016 total contribution by over 1100 lbs! We're doing this again in September 2018. Thank you to all the alumni who donated food, and to all the actives who helped transport the donations! 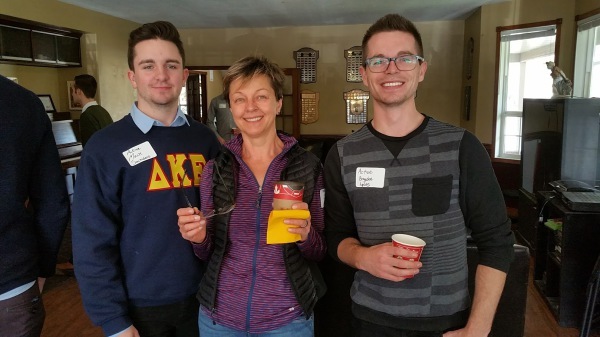 As an annual training offering for our members, DKE partners with The Landing at the U of A, MVP Strategies, and the Campus Sexual Assault Centre for important social awareness and culture education. Gender-based violence is something that everyone can directly influence and reduce. This informative and engaging workshop will be held on campus for all DKE members, alumni, and guests. This training focuses on self-awareness and other-awareness, and cognizance of gender-based violence from the man's point of view. 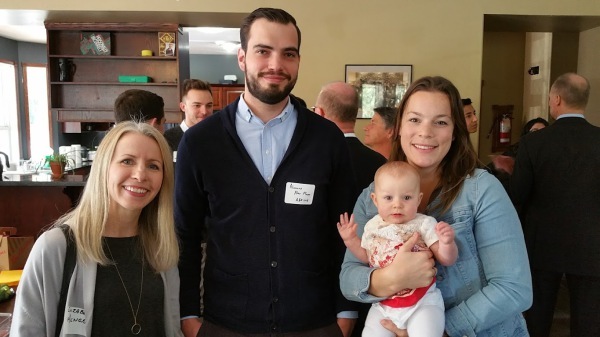 Thank you to all the families who came for strudel and Tim Horton's and sushi at the Deke house this September! Sep 2016: DKE Is Recruiting! Delta Kappa Epsilon is not an elitist club. 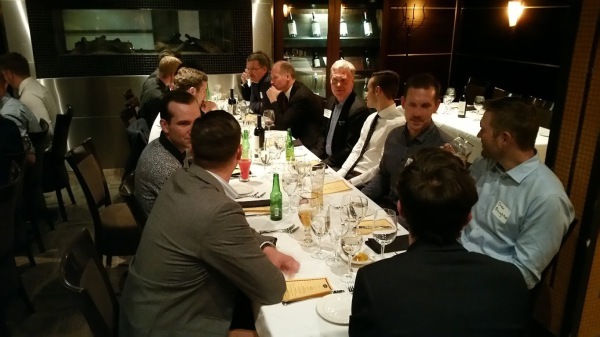 Rather, we are a mashup of all kinds of men who want to improve each other's lives through shared adventures and social networking. 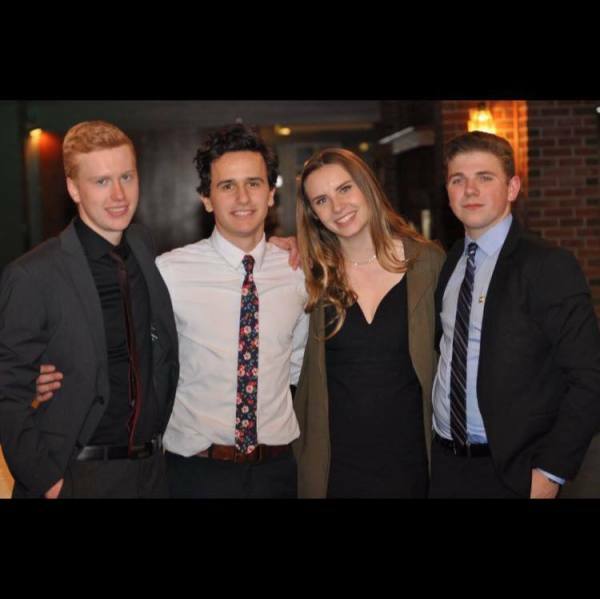 If you are a young man in undergraduate studies at the U of Alberta, perhaps you might like our eclectic community. 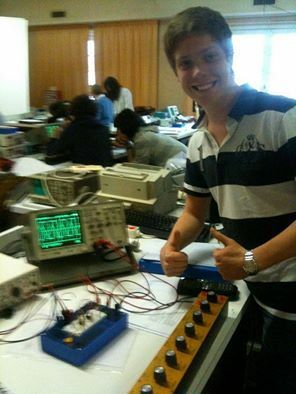 We are looking for men of energetic character, keen mind, and warm spirit. If that's you, please ping us and introduce yourself! "Yes, we barbecue a pig on our lawn each fall. It's one of those bucket things, you know." "We also bring beef and chicken and vegetable options, because not everybody likes roast pig." 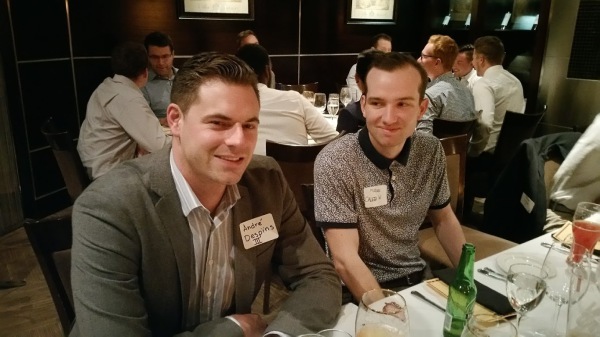 -Paul G.
Alumni Cross-Chapter Mixer Event, June 6, 2016! 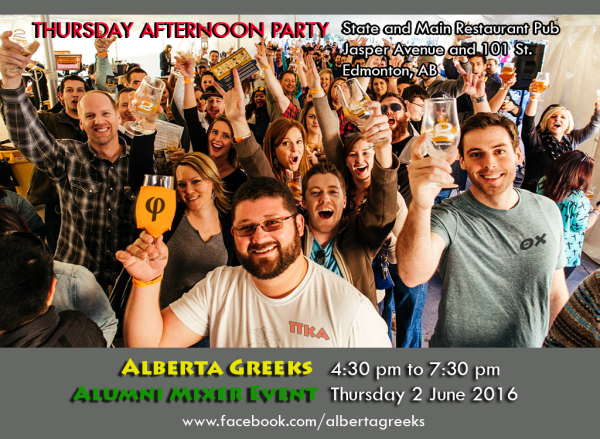 Alumni from all the U of Alberta fraternities and sororities are gathering for happy hour on Thursday June 6. Bring your smile and your business cards with you! 'Swolepocalypse' was, as always, a splendid decompression evening to end the semester! This April 2016, the Deke house was filled with happy undergrads in their fitness workout gear, celebrating the April milestone of 2016. See more Swolepocalypse photos in our gallery here . 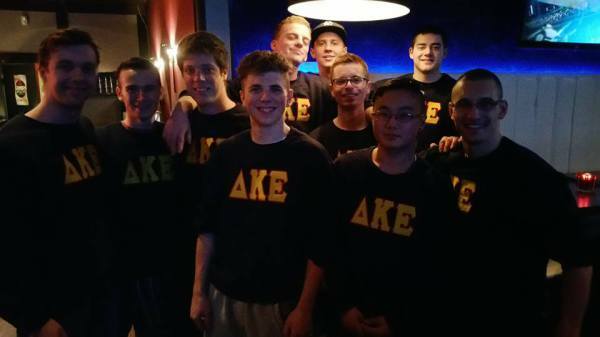 The Dekes at the University of Alberta would like to welcome our ten new adopted brothers into the family this 2015! 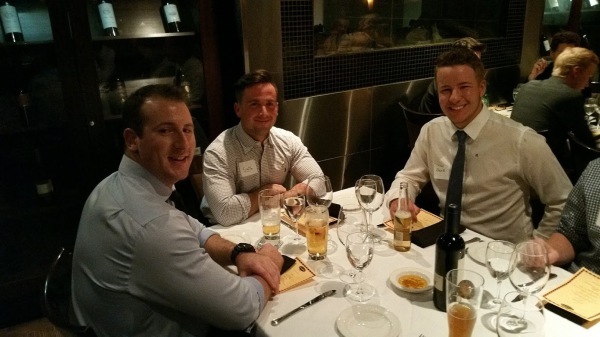 These lads possess a tremendous spirit and affectionate energy that we are very lucky to have in our society! Pictured here, from left to right, are Trevor, Shilo, Antoine, Nick, Sam, Branden, Brayden, Daniel, Jesse, Ian. 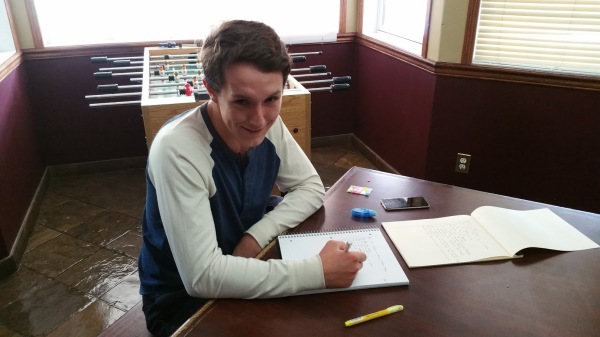 Welcome, new Dekes! Congratulations on all your hard work as former pledges! Friday Sep 25, 2015: Toga Glow Party! A tremendous evening of fraternity tradition and good people having fun! Thank you to the hundreds of toga-clad students who joined us for Glowga 2015! 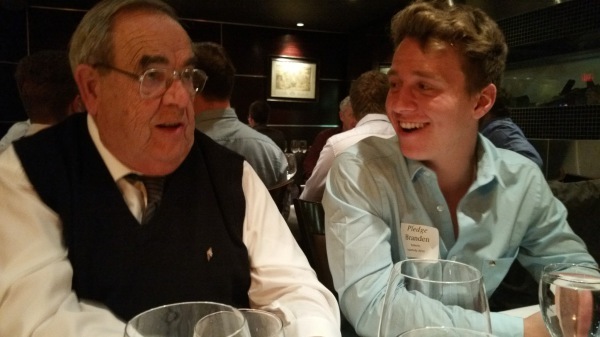 It was an excellent mixing of DKE generations at the Italian restaurant! 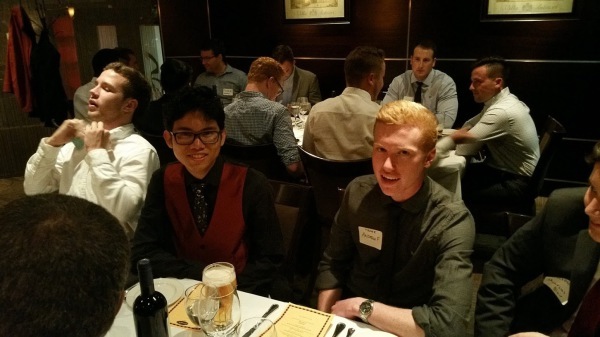 We had alumni from the Delta Phi Class of 1947 attending to dine with our pledges of 2015-16! 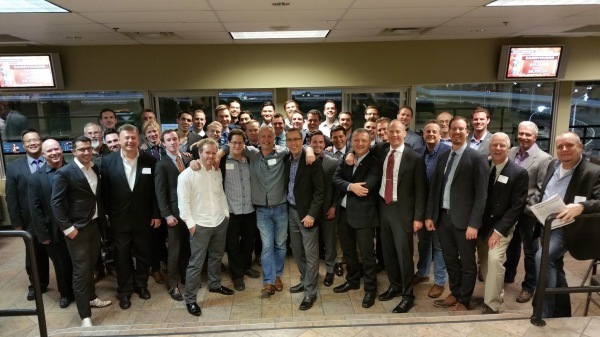 The 2nd Annual Deke Night at Northlands was a terrific evening of sentimental nostalgia and generational mixing! Thank you, everyone! 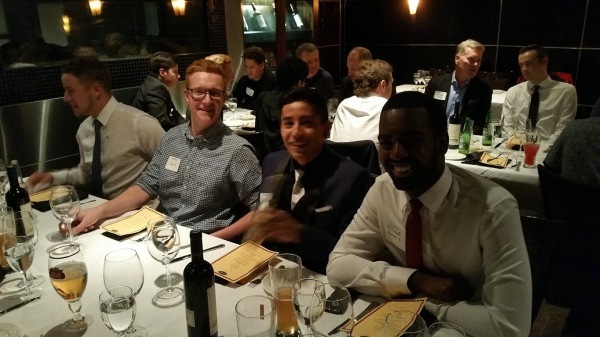 2nd-Year Undergrads: DKE is giving away a $1000-$4000 cash scholarship! Yes, if you have a 3.0 GPA from your first year, you are entering your second year at U of A undergrad studies, and you can show that you demonstrably contributed to the community through volunteering or academics or athletics, we want to give you money! Sat Sep 12, 2015: DKE Volunteering at the Parkinson's Walk/Run Event! 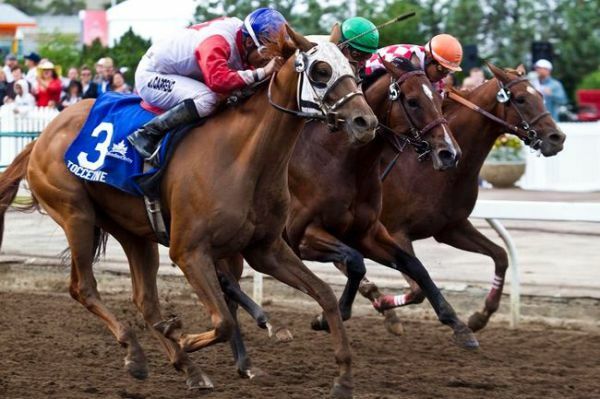 7:00 am to 1:00 pm on September 12, Dekes and their wives and girlfriends had a terrific experience supporting this Rundle Park fundraising event. 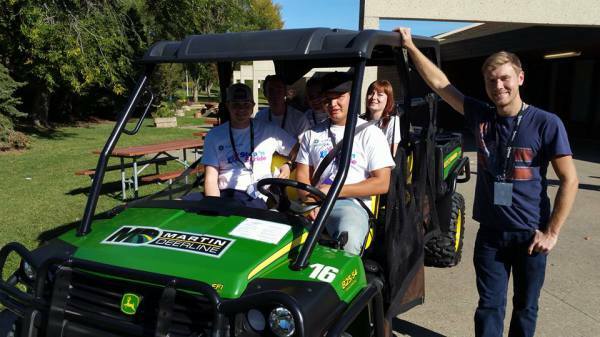 Thank you to all the volunteers who joined us and made the sunny day extra memorable! 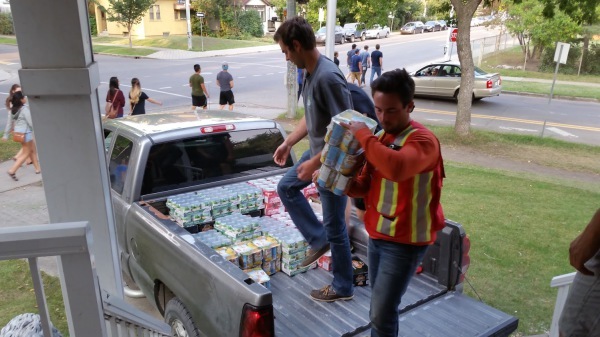 Thursday Sep 10, 2015 Greek Food Drive went well! We raised 5260 lbs of food donations in partnership with the nice folks at Ceres, Delta Chi, Phi Delta Theta, and Delta Upsilon! A big shout out to the fellow Greeks (and Ceres, which is a Roman society), for contributing to this. 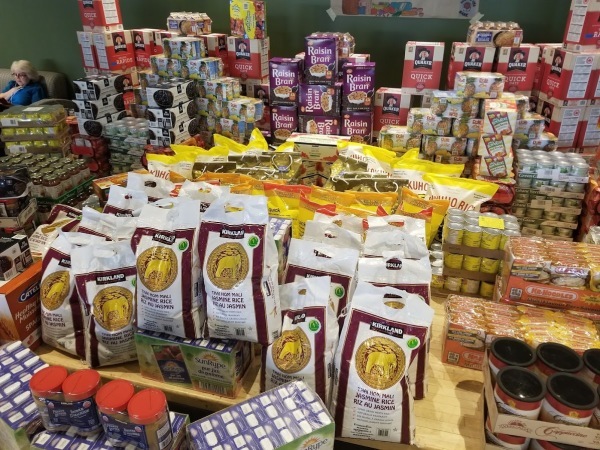 Together, we raised 1760 units of food, 243 flats, 2651 pounds. Excellent work, fraternity people! 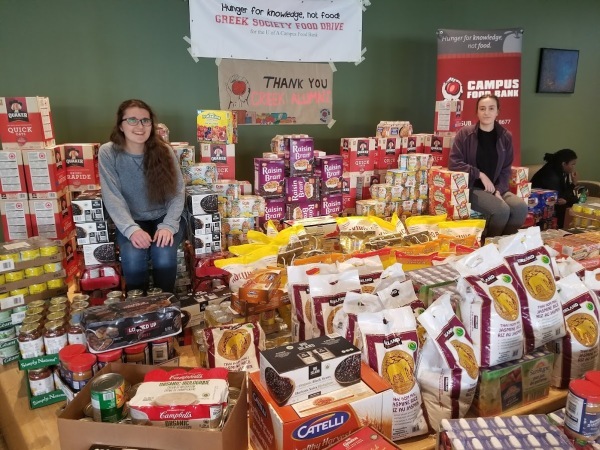 There are many hungry students who use the Campus Food Bank, and this contribution of fruits and vegetables will really help them. 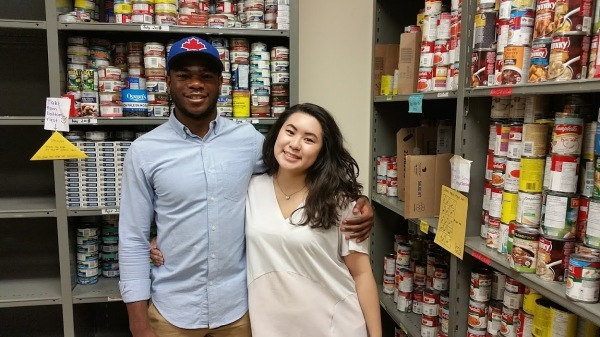 No student should ever go hungry, and today's group donation will make a substantial difference!